Essay prompts are an important part of many exams. For example, they are an integral part of the common application essay, SAT exam, and are also used in connection with many English literature essays. In brief, an essay prompt is essential, whether you realize it or not. 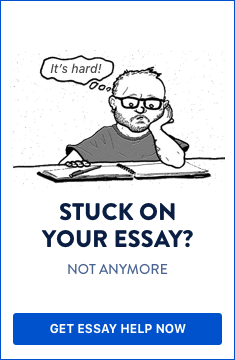 If you are not certain why there should be an essay prompt, you can just think about the following question: how can an author of an essay of a given text be sure that he/she has understood the task? Where should he/she search the key sentences or phrases in the text? Furthermore, is it reasonable to waste a lot of time only to get oneself oriented in the text and the task? Thus, an essay prompt saves the writer’s time and also focuses his/her attention on the cardinal issue which is to be discussed or analyzed. An essay prompt saves the writer’s time and also focuses his/her attention on the cardinal issue which is to be discussed or analyzed. If you are required to create such an essay prompt, try to put yourself in the shoes of a particular applicant (or essay writer). Writing an essay prompt requires analytical skills and also some experience in writing essays for exams. Make yourself sure that you know a particular exam very well, including the criteria for essay writing, the skills which should be tested, and of course, the text which is to be discussed in the essay. You should start from the criteria for assessment of the exam in general. What is required from the students in question? How long will the exam last? What is the field of study (or the subject) the prompt should point to? Should it be a general topic, or it will be pretty specialized? The second step is finding appropriate text for the essay (provided that you know on what topic the essay will be focused). In order to do that you must have comprehensive knowledge in this particular field. Since most text passages used as essay prompts are related to general topics, or popular topics such as poverty, equality, education, relationships, career, you can find a wide variety of newspaper articles as well as monographs, essays and academic papers. You can find, let’s say, ten articles, and then narrow down your choice only to one or two. Consult your colleagues or instructor. If you know the topic you want the students to reflect on, then it is easy to find the right passage for them. Let’s say, this is poverty. But what view on poverty shall you choose? You can present a view which is very provocative (not common), or the view which is quite common. The second option is preferable, but this again depends on the knowledge and skills of the examinees (or students). Now you must ask a clarifying question related to the passage. Of course, the questions could be two or three which depends on time and the required length of the essay. The main goal of these questions is to help the student understand the central point of the presented text, check his/her ability to read with comprehension, and also to think logically and critically. Now you definitely know a little bit more about how to write an essay prompt. In order to fulfill the task successfully, you need to have a lot of experience in testing and essay writing.